As the world's tech giants invest heavily in virtual reality, the relatively few workers who specialise in the nascent field are seeing big benefits. Demand for online freelancers with VR expertise grew far faster than for people with any other skill last quarter. 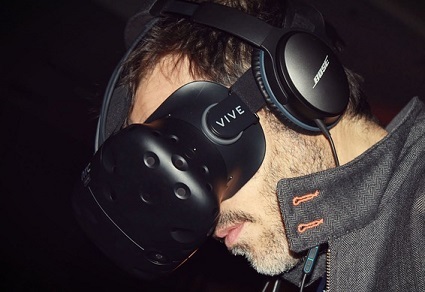 Billings on VR projects grew more than 30-fold from the same period a year earlier, according to U.S. data provided by Upwork Inc.'s website that connects freelancers with employers. VR has so far struggled to break into the mainstream, with the technology largely confined to high-end video gaming. Facebook Inc., which bought VR headset maker Oculus in 2014 for $2 billion, has already been lowering prices for the Oculus headset and is working on a more consumer-friendly version to be sold next year. Other companies that make VR goggles include Samsung Electronics Co., Alphabet Inc.'s Google and Sony Corp. Overall, tech-related skills accounted for nearly two-thirds of Upwork’s list of the 20 fastest-growing skills. Specialties related to artificial intelligence, such as natural language processing, neural networks and image processing, dominated the top of the list. People who specialise in econometrics – a subspecialty of economics that involves building mathematical models to explain and predict the real world – also saw a big spike in demand for their work. To be sure, the market for many of these kinds of workers is still small, growing from a pool that was basically non-existent just a year ago. For example, there are just over 2,500 freelancers on Upwork’s site now who list VR as one of their skills, compared with 106 individuals at this point last year. How should organisations train Generation-Z?